Everything you ever wanted to know about shooting video in Miami. Prior to arriving in a new city, every producer needs the lay of the land. 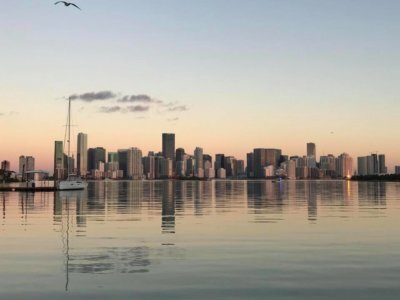 This guide explores everything about Miami, FL that producers need to know. Miami is a city that manages to simultaneously pay tribute to its storied past and to remain on the cutting edge of what’s next. Known as the “Magic City,” it serves as a winter getaway for thousands of Americans each year. Its Latin American influence provides a major basis for Miami’s culture and cuisine. Though commonly mistaken, Miami and Miami Beach are separate places; each serves as a popular destination for vacation seekers throughout the year. Some interesting facts about Miami include that it is the only major US city that was founded by a woman, it is the only US city that is surrounded by two National Parks, the Biscayne and the Everglades, as well as being the Cruise Capital of the World. With its constant sunshine and tropical feel, Miami feels like a year-round vacation. With Miami being such a popular spot for people to travel to, plenty of events and festivals go on throughout the year, especially because the weather allows outdoor activities year round. The Coconut Grove Arts Festival attracts thousands of people each year. The Lifetime Miami Marathon provides a great atmosphere for a great cause. The Ultra Music Festival attracts the younger generation every year for an upbeat, techno concert during the spring. With Miami’s weather being beach weather practically year round, going to the beach or pool is expected and convenient. With the two national parks surrounding Miami, there is an abundance of tours available to see local wildlife and ecosystems throughout Florida. Miami has a few professional sports teams including the Miami Heat NBA team, Miami Marlins MLB team, and the Miami Dolphins NFL team. Miami also offers plenty of options for higher education including Florida International University, Miami Dade College, and Lindsey Hopkins Technical College. Miami has an abundance of hotel options depending on whether you want to be right on the beach, closer to the airport, or away from the crowds. Like anywhere, the popular tourist attractions and beach hotels will be pricier but overall, Miami offers a lot of great deals on hotels during June through November because it’s the end of their peak times. Some great options for hotels near the airport are the Sheraton Miami Airport Hotel and Best Western Premier Miami Int. Airport Hotel. For hotels closer to the beach and downtown Miami, the Hotel Colonnade Coral Gables and Hyatt Regency Miami are beautiful hotels for a great price. Downtown Miami is about 25 minutes from the Miami International Airport so driving to and from flights will be easy compared to other cities. Fort Lauderdale is only an hour from Miami and Key West is about four hours. Cars are the best transportation options. If you don’t have access to a personal car, car services like Uber are great for getting around the city. Miami is known for its beach weather year round. Its weather is what brings people from all over the world because (besides its hurricane season) Miami has sunshine all year round. With July being its hottest month standing at 88 degrees and January being its coldest month standing at 68 degrees, Miami is perfect for a vacation any time of the year. June through November are the most humid months but the best time to visit since the crowds are low. January through April are the most popular times since the weather is mid-70s with low humidity. It is known to be a hurricane belt so it is prone to inclement weather during hurricane season. Click HERE for a current 10-day forecast of Miami weather. Crews across the country have a set of guidelines by which they conduct business. And as different as each city is from another, so are those guidelines. Every producer should have a basic understanding of each city’s standards. Shoots in Miami are based on a ten hour day and the crew is on the clock at the specified crew call. Overtime at a rate of time and a half begins after ten hours. If your shoot takes the crew to a distant location, travel time can be expected. A distant location is any location outside a circle with a 30-mile radius drawn around the city. But all of these are just guidelines; certainly, verify with your crew their specific policies. If you have additional questions about Miami you can always contact the city’s Chamber.